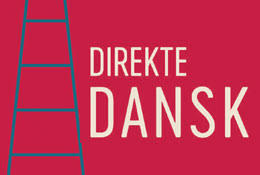 Would you like to learn Danish even before coming to Denmark? Do you not have time to come to Copenhagen on a regular basis? Let us come to you. By joining one of our online teams, you meet your instructor with a small group of students in our interactive virtual classroom once or twice a week. You also get access to the course material through our portal, where you can download both booklets and sound files and thereby prepare yourself between each class. The course at the A1 level is held in English until a basic level of Danish is established. When you have finished our A1 course, you can sign up for the next levels, A2-C1. Every course is completed with a test corresponding to the official module tests and we give you a course certificate. Our unique methods of teaching ensures a rapid and efficient progression and not least, an understandable pronunciation! Learn Danish before even coming to Denmark. Get the pronunciation right from the start! "Your teachings in pronunciation was a big help for a beginner at Danish like me… I learned what I needed to pass the A1 test, and a bit more, which was what I took your course for, to kickstart my Danish language." "I loved the teaching style and the one on one way the teachers pay attention to the pupils. Most importantly I like the friends I made through Danskbureauet."